Annie Fullard celebrates a life devoted to chamber music performance and education in more than 30 years as first violinist of the Cavani String Quartet. As a member of the Quartet in Residence, at The Cleveland Institute of Music from 1988-2018, Ms. Fullard is hailed as an adventurous and passionate performer and devoted mentor. Ms. Fullard and her Cavani colleagues have been a recipient of numerous awards including The Naumburg Chamber Music Award, as well as The Fischoff, Coleman and Carmel Chamber Music Competitions. Additional accolades include The Ohio Governors Award for The Arts as well as Musical America Magazine’s Young Artist of the Year, and The Guarneri Quartet Award for Artistic Excellence. Lauded for her “gleaming artistry, bravura and sensitivity” by The Cleveland Plain Dealer, Ms. Fullard has toured extensively throughout the United States and abroad, including a special Mozart Anniversary Tour of Salzburg, Vienna, and Prague. Other appearances include Carnegie Hall and Lincoln Center, Corcoran Gallery and Kennedy Center in Washington D.C., Ambassador Series in Los Angeles, Honolulu Chamber Music Society, Festival L’Epau in France, Chamber Music Society of Mexico City and the Ijsbreker Series in Amsterdam. Ms. Fullard has had the honor of collaborating with distinguished artists such as Itzhak Perlman, Robert Mann, Alisa Weilerstein, Kim Kashkashian, Jaime Laredo, Sharon Robinson, Anton Nel, Stephanie Blythe, Sergei Babayan as well as members of the Cleveland, Juilliard, Miami, Takcas, Ying, Emerson, Borodin, Amadeus, St. Lawrence String Quartets. She has been a featured artist on NPR programs Performance Today and “Says You” as well as NBC, ABC, and CBS, television. Ms. Fullard has presented performances and master classes at music festivals, universities and public and private schools in urban and rural communities in all fifty states, including New World Symphony, Aspen Music Festival, Interlochen Center for the Arts,The Perlman Music Program, Banff Center, Kneisel Hall, Norfolk Summer School of Music, Chautauqua Festival, Phoenixphest, Chamber Music Connection, Midwest Young Artists and The Academy at the Music Institute of Chicago, Encore Chamber Music and ArCoNet Arts and Community Network, in Philadelphia, and served as a juror at The 2017 Fischoff National Chamber Music Competition, and MYA Discover Competition. Ms. Fullard multi-faceted performing career includes participating in the Violins of Hope Exhibition, and Cavani Quartet’s multicultural program COLLAGE: Music and Poetry with Kent State, Professor of Pan African Studies, Mwatabu Okantah. 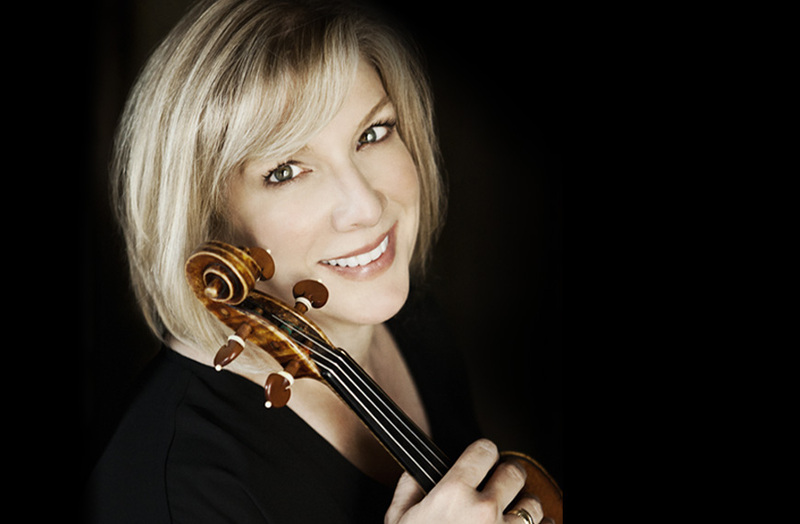 As a member of the faculty and Quartet-in-Residence at The Cleveland Institute of Music, Ms. Fullard also served as Artistic Advisor for Community Engagement at CIM and The Cleveland Chamber Music Society and Director of The String and Piano Chamber Music Seminar Case Western Reserve University and The Young Artist Program. A graduate of the Eastman School of Music, Ms. Fullard pursued additional studies at the Indiana University, and Yale University. Teachers and mentors include Donald Weilerstein, Josef Gingold, Franco Gulli, Earl Carlyss and Peter Salaff. Recognizing the natural ability of chamber music playing to inspire cognitive and emotional development in children through empathy and interaction, she founded the Friday Night Chamber Music at CIM program for pre-college students in 2016. In collaboration with her colleagues in the quartet, she has developed the Apprentice Quartet Program, Intensive Quartet Seminar, New Quartet Project and M.A.P. (Music, Art & Poetry) PROJECT. Former students who have been mentored by Ms. Fullard include members of the Jupiter, Daedalus, Catalyst, Miro, Afiara, Verona, Maia, Biava, Harlem, Omer and Linden String Quartets, as well as members of the New York Philharmonic, The Cleveland Orchestra, St Paul Chamber Orchestra, The Chicago Symphony and Met Opera Orchestra. Projects on the horizon, include a book: Empowered Performers: A Comprehensive Guide to Chamber Music Rehearsal Techniques and Musical Team Building in collaboration with Dr. Dorianne Cotter- Lockard. Ms. Fullard and her Cavani colleagues have given seminar presentations on this topic, for Universities and Conservatories around the country including, MBA and EMBA including The Weatherhead School of Management at CWRU. Ms. Fullard is former Artist-in-residence at the University of California, Riverside, and the University of Texas Austin, as well as visiting artist at the University of Southern Illinois, Carbondale and serves as Distinguished Visiting Artist at The McDuffie Center for Strings at Mercer University.